Munozs strategy for dealers: fewer, bigger, better. BARCELONA -- Nissan Motor believes a recently finalized reorganization of its Spanish dealer network will help it through the current crisis. Consolidation is at the center of the initiative, which has reduced the Japanese carmakers Spanish network from more than 700 dealers, sub-dealers and agents in 2000 to just 84 stores today. Code-named Shift Spain, the reorganization began in January 2007, when recently appointed Nissan Iberia Managing Director Jose Munoz issued a two-year termination order to the entire network. We didnt know the market was going to drop as much as it has, but we wanted the dealer network to be ready for a slowdown, when it arrived, Munoz told Automotive News Europe. Nissan closed about 500 of its 700 Spanish sales points between 2007 and 2008. It opened 31 new showrooms -- many of them sparkling, multi-million euro palaces in strategic metropolitan locations -- over the same period. Another 20 superstores will open this year. Consolidation has made it easier for us to manage the business, and it helps our partners with economies of scale, Munoz said. 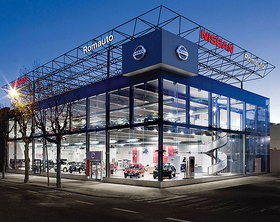 The surviving Nissan dealerships in Spain have undergone a dramatic transformation. This shows Nissan dealerships before the makeover. The Japanese carmaker sells an increasing number of passenger cars in Spain, which is its fifth-largest European market, behind Russia, the UK, Italy and Germany. But the dealer network was originally established to sell trucks, and has until recently been spread too thinly to achieve the levels of service or profitability Nissan wanted. Munoz knows how to reorganize a retail group. As general manager of Nissans European dealer network development from 2004 to 2006, he oversaw a wide-ranging reform that led to the closure of small and unprofitable dealerships and consolidated others across the Continent. In Madrid, this has meant cutting the number of dealers from 40 to five, and the number of sales points from 44 to about 20 by the end of 2009. Total investment to cover the Spanish capital -- which represents about 25 percent of the domestic market -- has topped 100 million over the past two years. Overall, Nissan and its remaining dealers have spent 300 million on the network upgrade. 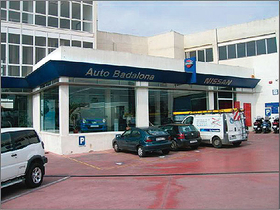 This is a Nissan dealership in Spain after the makeover. 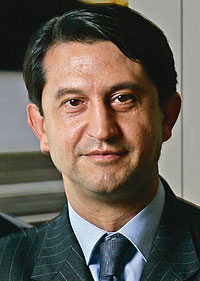 When the market recovers, we are going to be in an optimum position, Munoz said. New-car sales in Spain fell by 28.1 percent to 1.16 million units last year. Nissan did better than its major competitors as its total sales dropped 16.9 percent to 45,924. The reason Nissan was less affected than most was because its passenger-car sales rose it had 24 percent to 29,500. This allowed the Japanese carmaker to add 1.1 points to its market share in Spain, which reached 3.4 percent in 2008. Continuing strong demand for the Qashqai SUV/lower-medium hatchback crossover, coupled with the forthcoming arrival of the new small Pixo hatchback and the box-shaped small Cube, point to a minimum 5 percent market share by 2010, Munoz said.